It's Mother's Day in less than 2 weeks, so here are some of our industry designers' favorite projects to make and give. Enjoy! For our final blog hop in 2016, designers were invited to spark their creativity with Rinea® Double-Sided Paper Foil from Global Crafting. We loved the product so much we agreed to play again and came up with even more creative projects for you to enjoy! 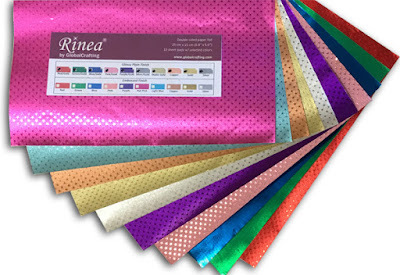 Rinea paper-foil is a specialty crafting material imported from Germany. It is made up of two thin layers of colorful aluminum foil with a sheet of paper sandwiched between them. This creates paper-like sturdiness and stiffness with the shininess and malleability of foil. It will maintain the shape however it is bent or folded without wrinkling, making it ideal for a wide variety of arts and crafts projects. The paper-like characteristic also makes it perfect for embossing and die-cutting. It can easily be cut with regular, or decorative edge scissors and punches and textured with decorative paper crimpers. Rinea foil paper comes in many interesting color combinations including bold, pastel, and metallic colors with glossy, matte and embossed finishes giving you lots of options to play with. This is one of the most popular projects made with the foil, showing a combination of colors. 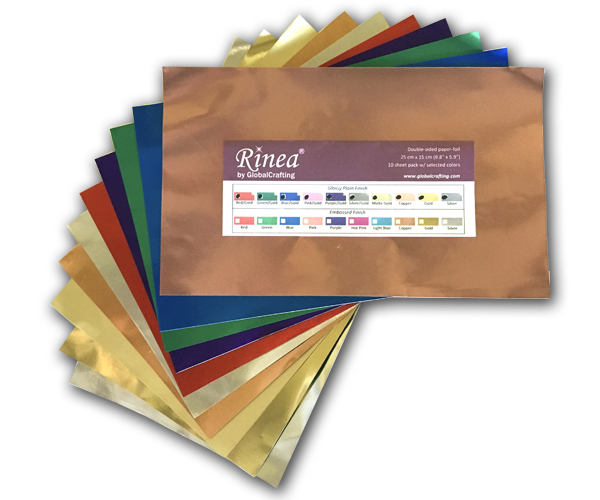 You will especially love that each sheet of metallic foil has a color on each side! 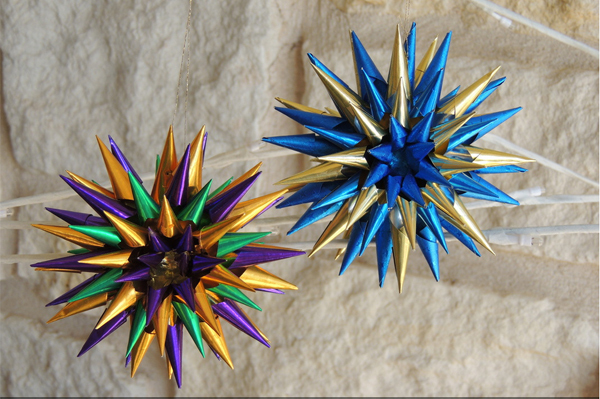 For example: Blue on gold, Red on gold, Green on gold, Pink on gold, Purple on gold, Silver on gold and Gold on gold. Please don't forget to comment here and on the designer's blog about the projects you like. How does your garden grow? It's First Monday and this month DCC designers are sharing their creative ideas for the garden including Easter crafts.